Established for 34 years, we are a leading supplier of traditional and Victorian radiators. 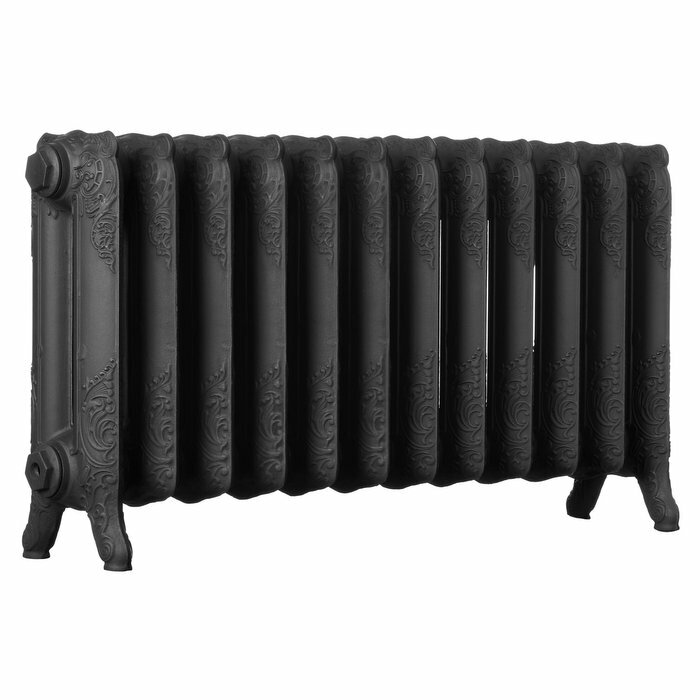 Our vintage and old fashioned cast iron radiators are perfect for contemporary interiors, period homes and schools. 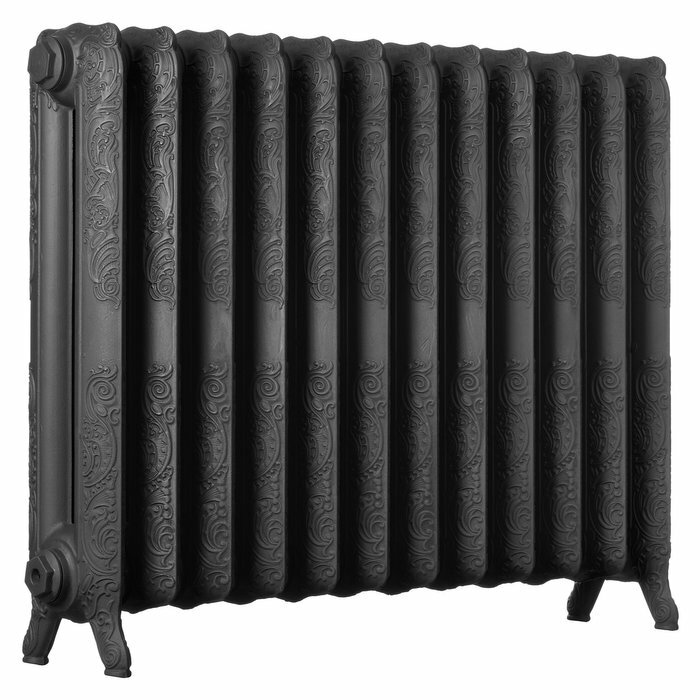 All our cast iron radiators are of the highest quality and backed by a 10 year guarantee for peace of mind. They're also excellent value for money with a price match guarantee. 1 See order confirmation email for anticipated despatch. 2 ex VAT & delivery. 3 For radiators only. Spring is here and the Easter break is almost upon us allowing everyone to have a well earned break and hopefully some great weather for a change. 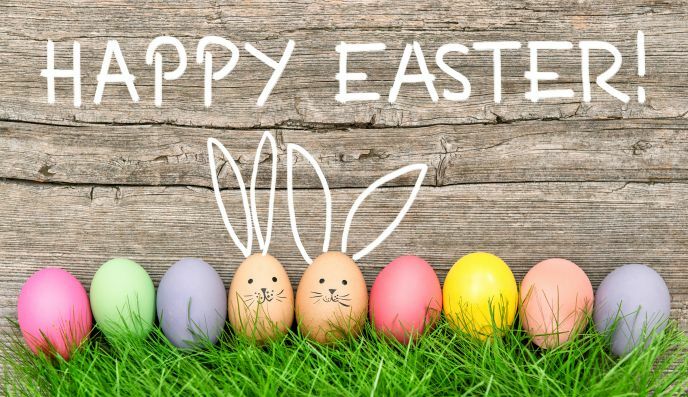 There will be no pallet deliveries or courier deliveries between 19th & 22nd April in view of the Easter break as our delivery partners will be taking a well earned rest! From us all at The Cast Iron Radiator Centre, we want to wish you all a very happy Easter break. 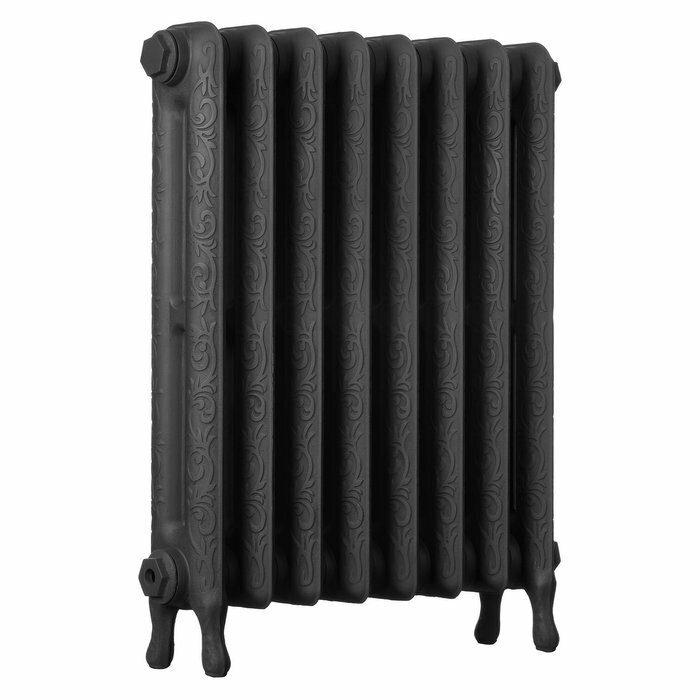 This is one of our traditional four column cast iron radiators in the ever popular Gun Metal finish. We think the contrast of this traditional cast iron radiator looks stunning against the off white wall and white washed reclaimed floor boards. Sometimes, it seems that just keeping things simple works best! Thank you Mr B for the photo. Since the start of 2019, we have continued to see increasing demand for our wonderful traditional radiators in conjunction with our new range of Warwick Thermostatic radiator valves in four fantastic finishes, including the popular Warwick TRV in Matt Gun Metal proving very successful. In view of current demand, our lead time is now 7 – 10 full working days to despatch with UK mainland delivery usually 2 days thereafter. As we remain the best value online for cast iron radiators and our lead times remain super-fast, now is a great time to order your radiators! We have received this wonderful photo from one of our customers in Bergamo, Italy. It shows the elegant Art Nouveau radiator with our Bentley Lever valves in Satin Nickel finish. Our Customer says: ‘I’m so happy about your cast iron radiators Art Nouveau, they are beautiful and they work very well!! A warm greeting from Italy’. Thank you again Tiziano. We are glad that you are happy and keeping warm in Northern Italy. All radiator orders despatched in a maximum of 5 - 7 working days! Happy New Year to all our customers old and new! We hope you all had a good break and managed to relax ready for the year ahead! CURRENT LEAD TIMES FROM ORDER TO DESPATCH – JUST 5-7 WORKING DAYS MAX!! Our wonderful production team have pulled out all the stops to get the lead times back down from when you place your order for our cast iron radiators to when they are despatched down to just 5–7 working days again. Some orders are even being despatched sooner than this where we can. The value of all our traditional radiators remains the best value online and with great quality and customer service to match, there is nowhere better to assist you with your requirements for cast radiators, valves and accessories. Therefore, this is a big thank you to the production team for all their efforts and a big thank you also to our customers for your continued support. Thank you for your continued support and we hope that you have a restful and peaceful break. We look forward to seeing you in 2019, from us all at The Cast Iron Radiator Centre. Last date for pre-Christmas delivery UPDATED! We are pleased to announce that we have extended the last date for when we can guarantee pre-Christmas delivery of our wonderful Cast Iron Radiators. The last date for orders to be placed which will qualify for pre-Christmas despatch will be this SUNDAY 2nd DECEMBER 2018. Orders placed on or before this date are guaranteed to be ready to be despatched to you for delivery week ending Friday 21st December. If you cannot receive delivery on or before the 21st December, then please let us now in the message box when ordering. The last date we will despatch our cast iron radiators on pallet deliveries will be Wednesday 19th December on a standard 2 day delivery service for delivery on Friday 21st December. We will despatch all orders as usual, unless informed to the contrary, so please ensure you or your builders are on site to receive your deliveries as failure to take delivery may mean that your order will sit in the delivery depot over the Christmas & New Year holidays and won’t be delivered until January 2019. The last date we will be despatching your parcel deliveries via DPD will be Thursday 20th December. All orders that do not meet this deadline may be despatched in the New Year. The Christmas rush is well and truly amongst us now. However, despite the record sales again this year for our cast iron radiators, the time and effort we have all put in here at The Cast Iron Radiator Centre at the beginning of the year in terms of better production/ordering systems along with improved resources, mean that our lead times remain at just 7-10 FULL working days from when order placed to despatch. That's nearly a whole week quicker than this time last year! This combined with our quicker (standard 2 day) delivery service means that we are able to get more of your orders despatched than ever before and we mustn’t forget our great production team, who work tirelessly, to meet every deadline without compromising on great quality. As always though, during the busiest times, there may be the very occasional time when we need to extend the lead times in order to meet both demand and ensure our quality standards don’t fall. Therefore, please use the following dates to assist you (and us!) when placing your orders with us to guarantee your pre-Christmas deliveries. For Radiator Orders. To ensure that you receive your radiator order before Christmas, the last date for ordering is Friday 30th November 2018. For Parcel Deliveries. To ensure that you receive your parcel order before Christmas, the last date for ordering is Wednesday 19th December 2018. So, if your project is still going ahead between Christmas and the New Year, you will need to organise your delivery for before we break up for the festivities as there will be no deliveries during this period. After yet another record month for sales during September and as anticipated, we have had to slightly increase our lead time from when the order is placed to despatch/collection date to 7-10 FULL working days. Please remember that these are our anticipated lead times and may need to be revised periodically without notice, but we will always do our utmost not to if we can. 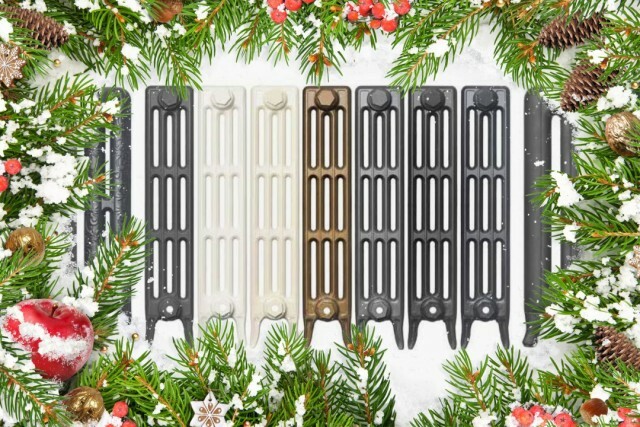 From our experience, we know the lead times will extend slightly as the late rush starts with customers wanting our traditional cast iron radiators in time to keep them warm in the run up to Christmas, so please order as soon as you can so that you are not disappointed! Transparency and honesty are the key principles here at the Cast Iron Radiator Centre, so please read the news feed for any updates and make sure you read the update and information emails when they are sent out. The cold weather = more orders! After such a wonderfully long and warm summer, it appears that the best of the weather is becoming increasingly in short supply. At this time every year, for many, this is a reminder to get their heating systems checked and also look to replacing their radiators with our cast iron radiators in readiness for Christmas. Subsequently, our order books are filling up fast and as such our current lead time is now increasing slightly to approximately 7-9 full working days to despatch or collection. There a little good news though. Our new transport partner, Mobile PPL, offers our customers a standard delivery of just 2 working days normally, instead of the usual 3-5 working days offered by many other carriers. In addition, once your order has been despatched, Mobile also offer to upgrade the delivery service if required for a nominal fee paid direct to them. This extra flexibility is proving a real hit with our customers. In order to not be disappointed, please speak to your plumber/builder (not always possible we know!) as soon as possible to try and plan when you need your radiators so that we can assist in getting them ready for you in good time. We will, of course, endeavour to keep these lead times as short as possible for as long as possible, but to ensure that we don’t compromise the quality in producing your fabulous traditional radiators remains our highest priority, our lead times may need to be revised. Make sure you keep an eye on this news feed so that we can keep you up to date. Transparency and honesty are the key principles here at the Cast Iron Radiator Centre. We were delighted to work with Highfield Developments to supply their 14 luxury loft apartments in the Hindmarsh development with our traditional radiators in the 'on-trend' Gun Metal grey finish. 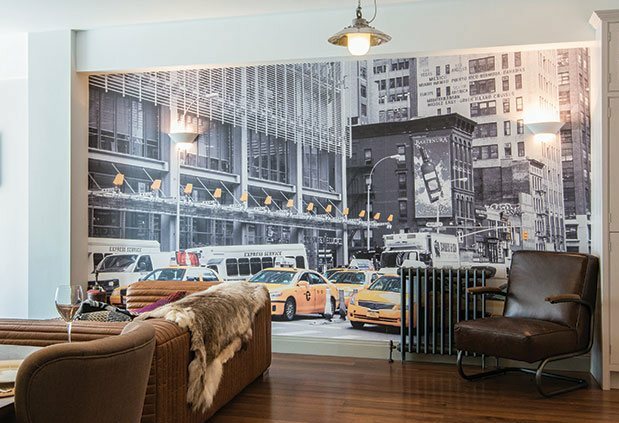 Again, our cast iron radiators make a statement and complement the New York styling in these chic urban spaces without dominating. Keeping the summer room cosy! 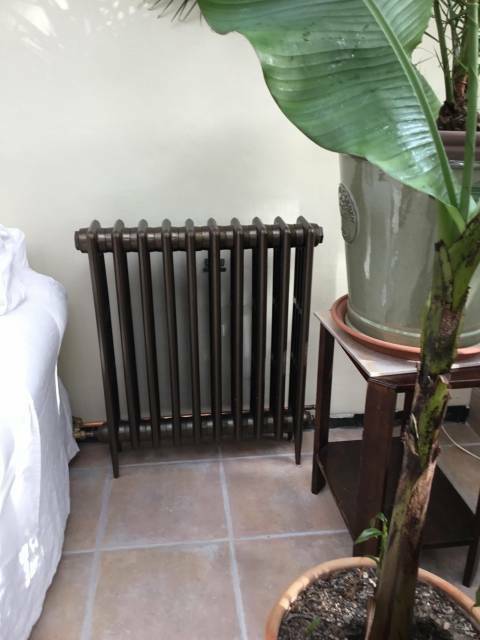 Here is one of our traditional four column 760mm cast iron radiators in the popular Antique Bronze finish helping to keep a customer's wonderful summer room cosy during the cold days of winter. Thank you Mr H of Worcester for your lovely image. New thermostatic valves just in! We are delighted to offer the brand new Warwick TRV Thermostatic Cast Iron Radiator Valves on our website. Having listened to our customers who wanted a larger valve with a solid wood wheel head, but not at extortionate prices, we have managed to source this new style in the popular Antique Brass, Black Nickel & Satin Nickel finishes. 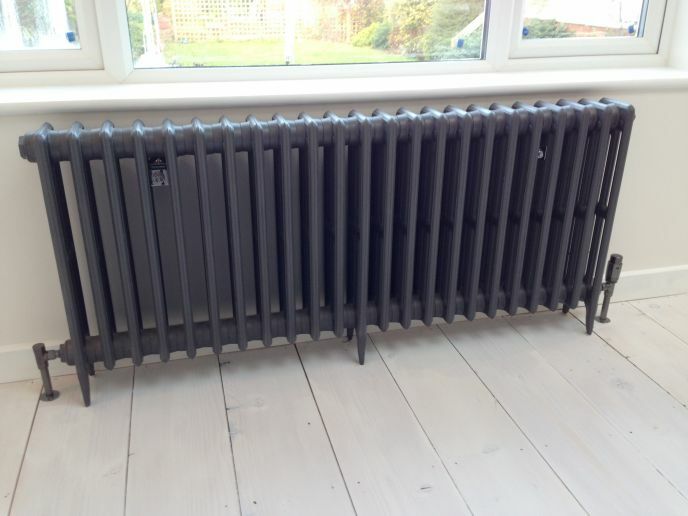 Their style really adds that finishing touch when matched with our traditional cast iron radiators. These are similar to the Bentley range, but differ in a few subtle, but significant ways. Namely they are a lot heavier at 1.1kg a pair, they will fully shut off when the wheel head is fully wound in, so not requiring a decorator’s cap and the actual wheel head is made from solid wood. They all come with a 2 year warranty as standard. These additions broaden our range of excellent value cast iron radiator valves, whilst at the same time complementing the choice we now offer.
" 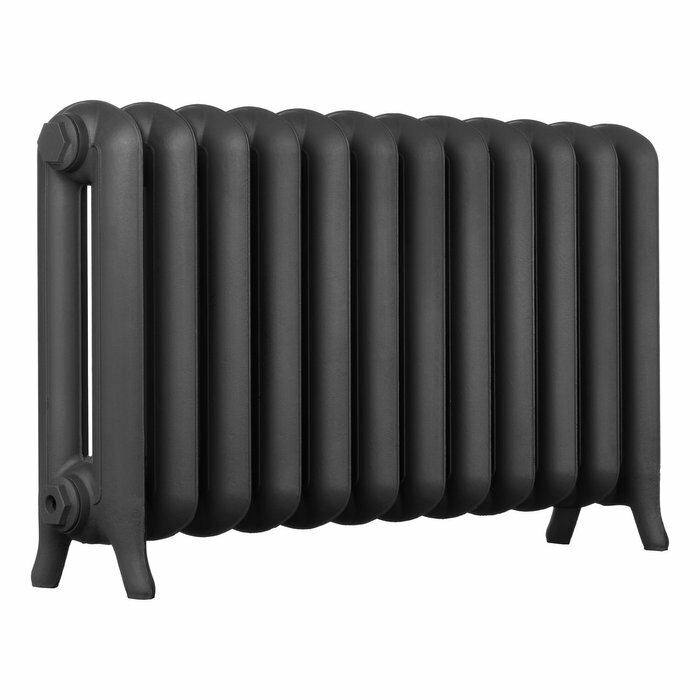 Hi, we bought 3 large 4 column radiators from the Cast Iron Radiator Centre in February 2019. They were delivered on the agreed date by a friendly van driver. One of the radiators had a small problem ... "
" A really beautiful radiator. So pleased with it.... "
" Second set of four radiators for a restoration project. Fantastic radiators that everyone comments on. Look fantastic and kick out some real heat. Ordered with Bentley thermostatic valves; worth the e... "
" These arrived in great time and are absolutely beautiful. I haven’t had them fitted yet but they will be installed next week. Great feature to my hoise... "
" Excellent example of a cast iron radiator will definitely be ordering more for the rest of the house, and the service was faultless, thank you... "
" Does what it says on the tin look fine came quickly... "
" This is the second radiator I have purchased from CIRC and to be honest I can't see it being the last. 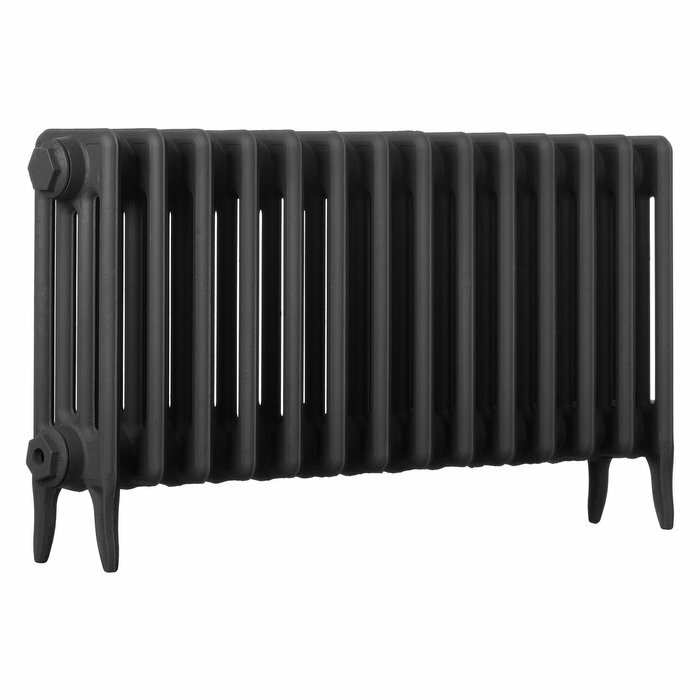 The quality of these things is phenomenal and the heat output also,couple that with the aesthetic... "
" Very pleased with all the products I bought every thing is great quality and the service was great from start to finish would definitely buy again... "
" This is the second radiator we have ordered. 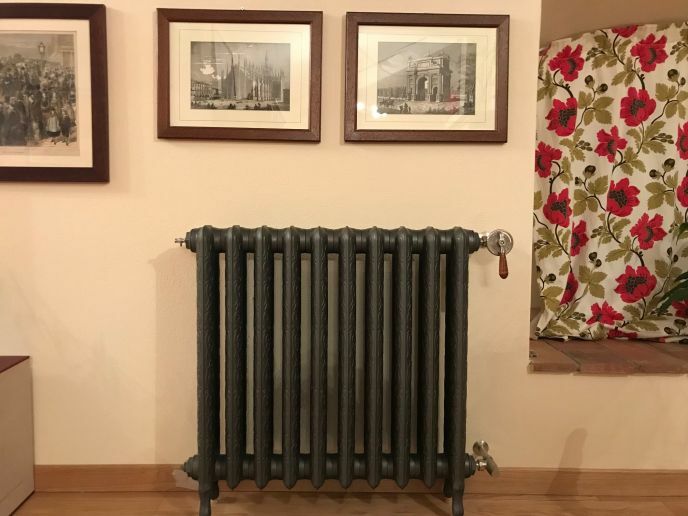 Really impressed with the radiator and service on both occasions.... "
" Chose gunmetal grey and cannot believe how stunning it looks especially for the price. Searched for weeks to find something as attractive & competitive. Do beware that it is very heavy!! (I missed thi... "